No colours. No added flavours. Suitable for vegans & vegetarians. 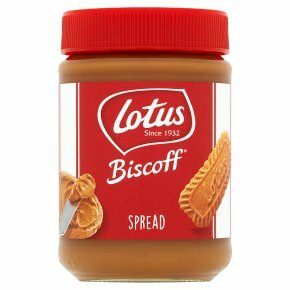 Irresistibly Tasty Enjoy the great taste of the famous Lotus Biscoff biscuits in a jar. To turn them into this irresistibly smooth spread, we crush them finely after baking. That's how we keep all the goodness of their unique flavour. To be savoured by everyone, whenever you enjoy a slice of bread.